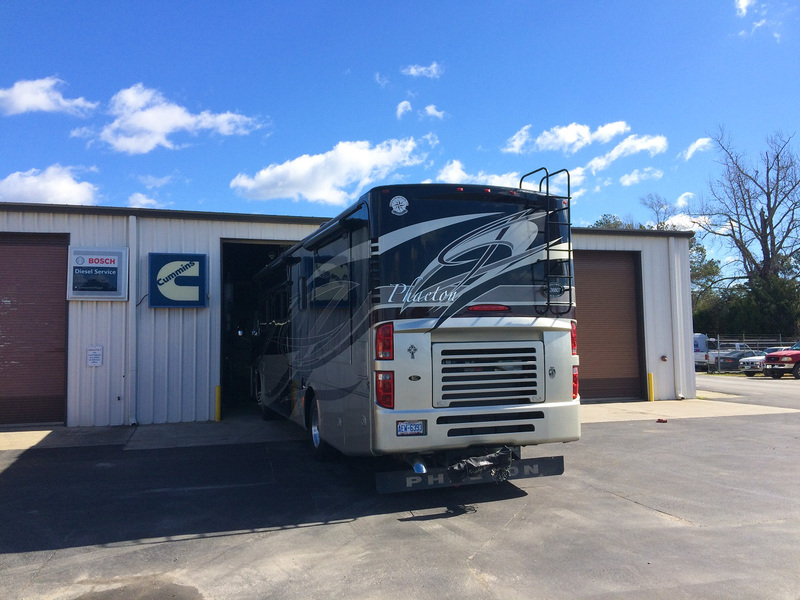 Oh, I almost forgot to tell you, last week Phaeth went in for her annual check-up. 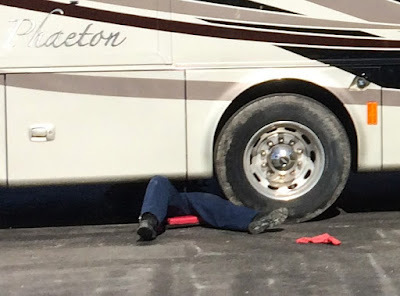 She had her Cummins and Onan checked. 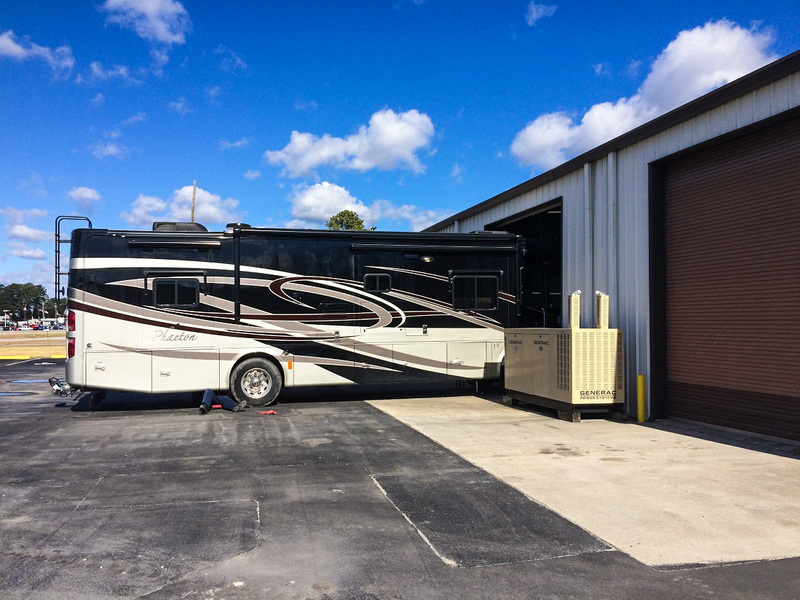 The diesel physician said she was in good health and everything checked out "OK". 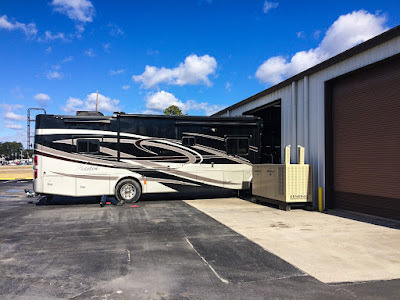 Phaeth had her oil changed, oil filters and fuel filters for both her Cummins engine and Onan generator engine. She also had her coolant checked for potency and proper level. She is good to go for 15,000 miles or one year, whichever come first. The "doctor" also lubed all of her Zerk fittings. 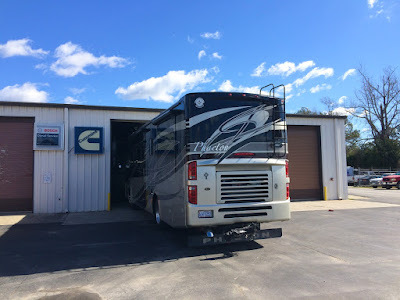 This is the "doctor's office" - Coastal Diesel service is an authorized Cummins and Onan service center just a couple miles from Camp Alexander. They found no fault codes stored on Phaeth's ECM. That means that she has been running as expected. Phaeth also had to have a minor procedure performed. The crankcase breather filter (aka coalescing filter) had never been changed on her. Evidently there is no recommended interval to service this until the driver gets a yellow light on the dash and the engine de-rates (aka limp home mode). So rather than wait for that adventure, I had the filter changed. (We have over 33,000 miles on Phaeth.) The filter is the rectangular object on the top of the engine in this photo. 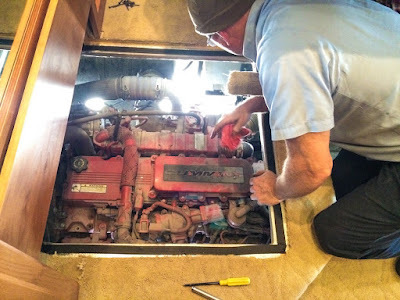 Getting to the top of the engine is not easy on our motorhome since you have to find and go through an access panel in the carpet covered floor of the bedroom. Not easy when you have never performed this operation before. And be sure you both do as well!